BRIAN KENNY is a gentleman, scholar, diabetic, and comedian that has appeared on Fox, can be seen on Hulu, and can be found yelling at audiences until they enjoy themselves all over this great country. His “Reese’s Pieces” clip from Fox’s Laughs has been viewed over 3 million times. He is a proud native of Cleveland, OH that has beautiful blue eyes, the traps of a God, and his beard game is on point. 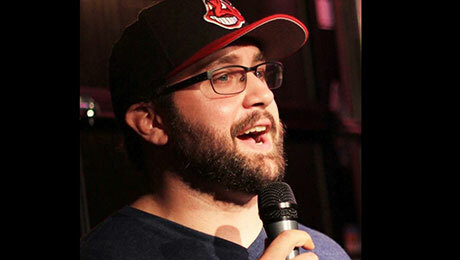 He co-produces Accidental Comedy Fest, performed at the 2014 Rock on the Range, and is a regular at the legendary Hilarities E 4th Theater in Cleveland, OH. He has opened for likes of Dave Attell, Norm McDonald, Dom Irrera, Kevin Pollack, Rob Schneider, Aisha Tyler, Joey “Coco” Diaz, and many more. He loves you very much, and knows that deep down you love him back.